Whether it’s amplified fan engagement or increased youth participation, the sporting ecosystem is evolving & how. To be able to keep pace with the ever changing dynamics, it’s always essential to network & collaborate. 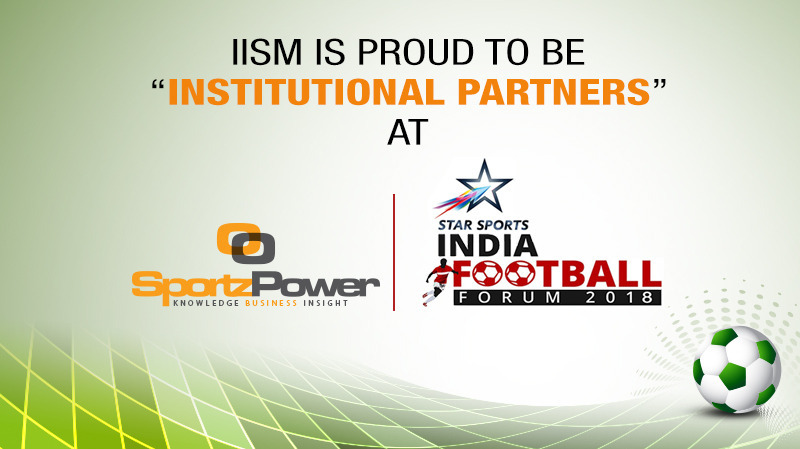 We at IISM are elated to be the “Institutional Partners” at the “STAR SPORTS INDIA FOOTBALL FORUM 2018”. The India Football Forum is the flagship property of the SportzPower Knowledge Series (SKS), an ongoing programme designed to benefit the industry’s multiple stakeholders through direct or indirect participation. If you’d like to participate, register here.